On June 15 a memorable event took place as the Territory welcomed home its athletes who participated in the Gold Coast 2018 Commonwealth Games. The athletes and their well-wishers are featured during a parade which began at A.O. Shirley Recreation Grounds and ended at the Tortola Pier Park where a celebration ceremony was held. 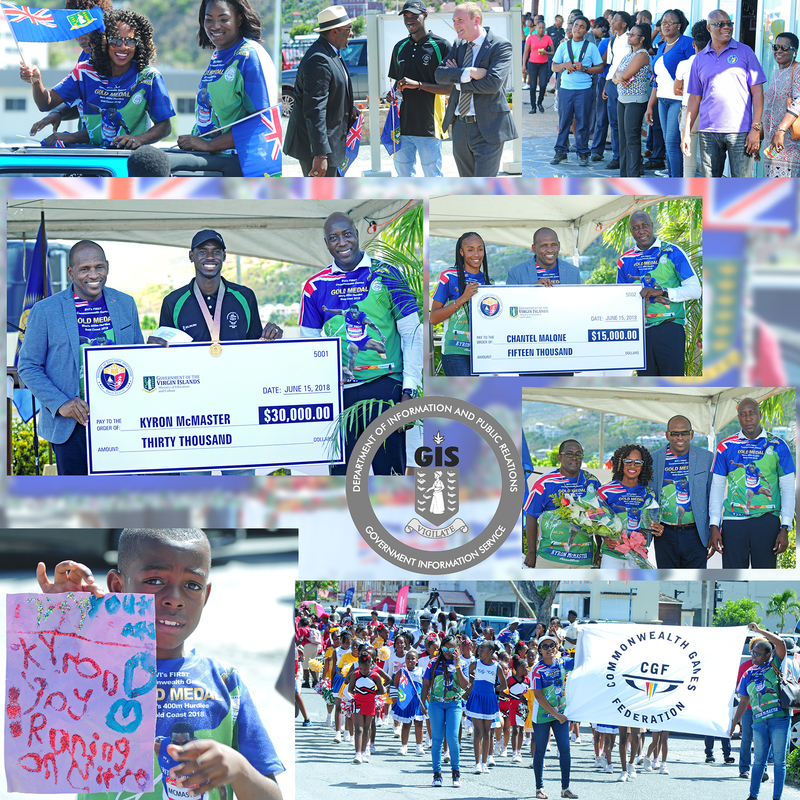 The event was organised by the Department of Youth Affairs and Sports and highlighted the accomplishments of Gold Medalist Kyron McMaster and the other athletes who made the Territory proud.